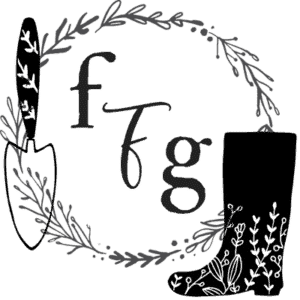 Do you want to grow a food garden & get more yields? 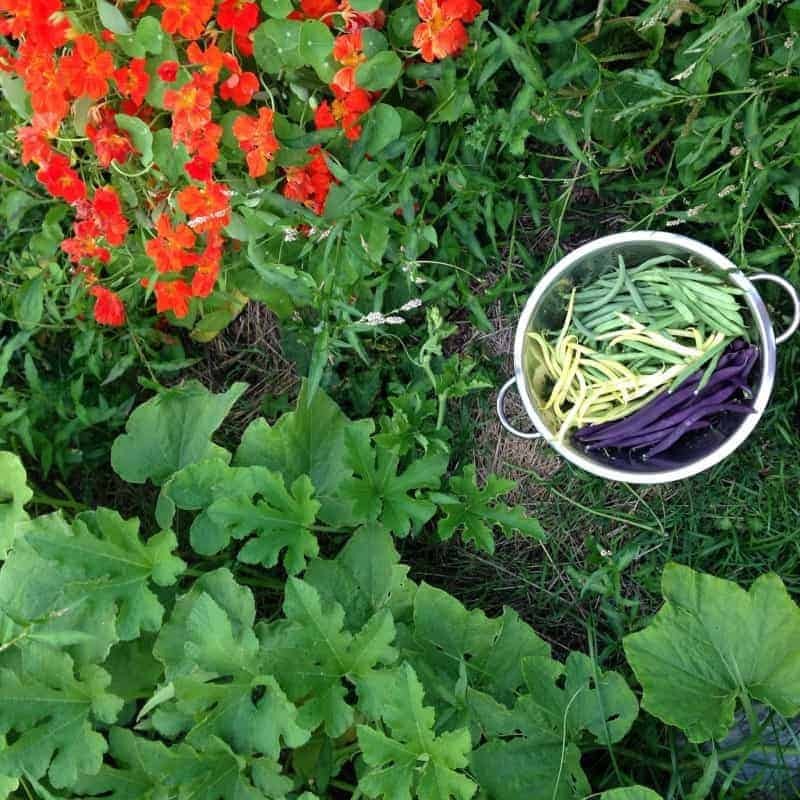 I think we all want to maximize the harvests from our garden as produce prices keep going up. I know I do, which is why I’ve been learning and practicing ways to get the most from our garden yield every season. 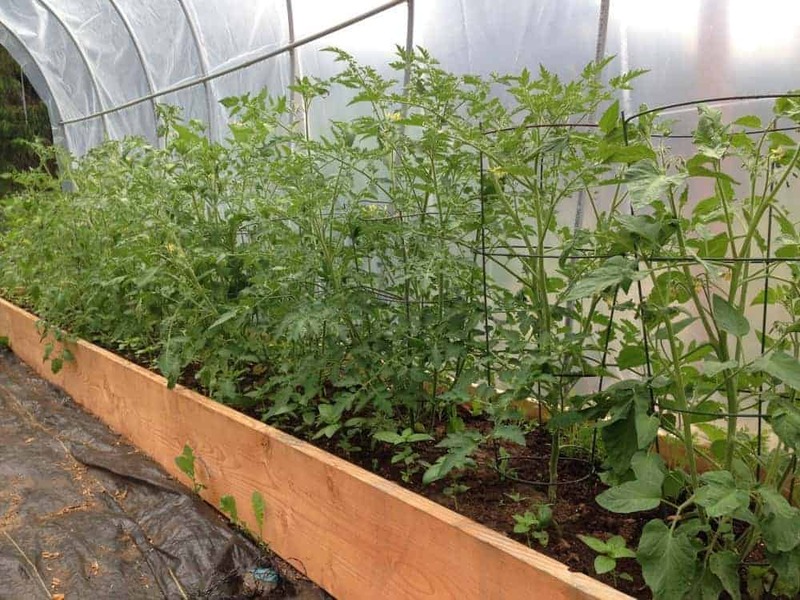 Growing your crops vertically increases your growing space in your garden beds for other crops. Grow any vining plant like pole beans, small winter squash, malabar spinach, peas or cucumbers upwards. Growing vertically also makes it easy to harvest and adds appealing architecture to your garden. Here’s an example of 5 gorgeous vertical garden beds + lots more ideas on Pinterest. Many of the crops that we use for leafy greens can be grown much closer than the seed packet suggests and harvested at the baby leaf stage. By planting in blocks instead of rows and harvesting these crops as ‘baby greens’ you can get more from your food garden. 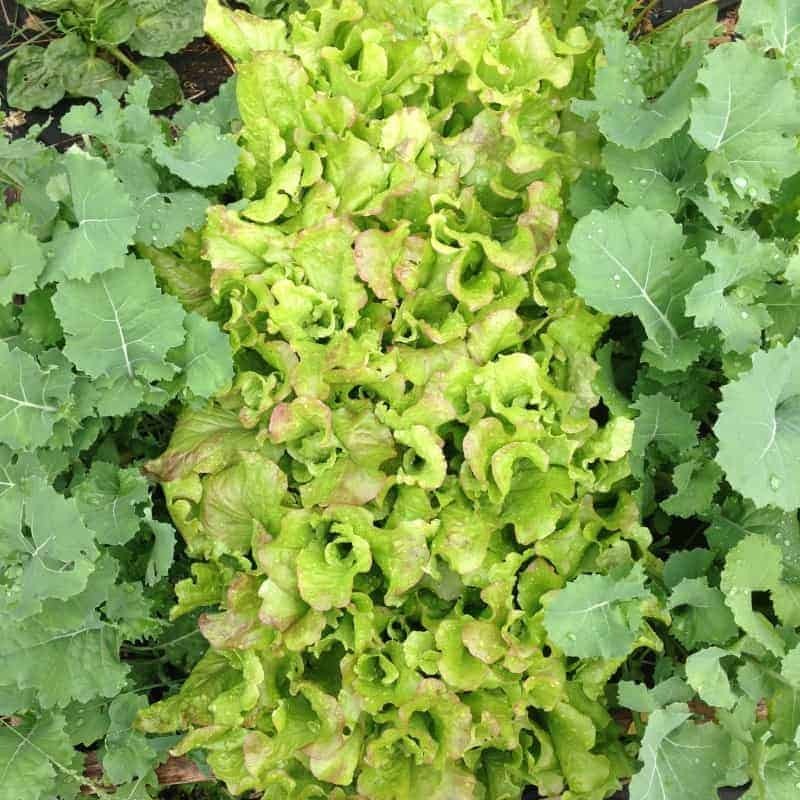 Great choices for baby greens are: kale, swiss chard, arugula, lettuce, mustards, beets & turnips (for the tops not roots). Here’s a list of fast growing crops that you can grow closely together. 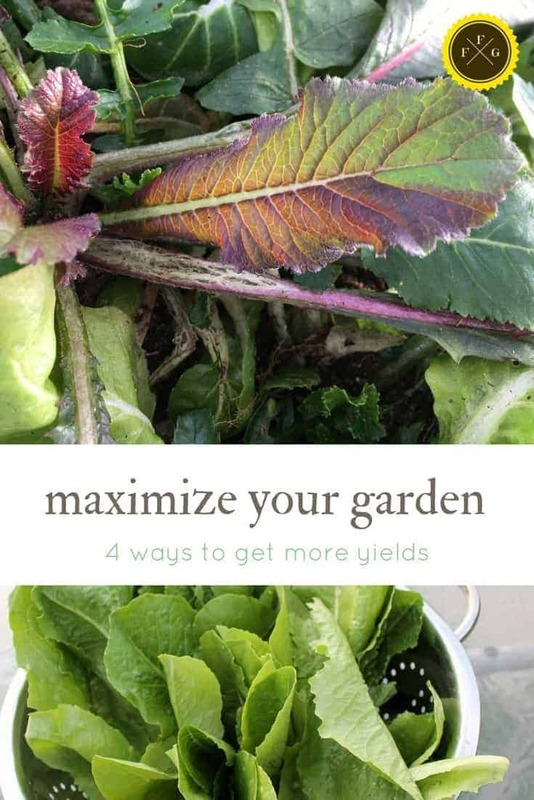 You can also harvest at multiple stages for increased yield, which I discuss in-depth in my growing greens year-round. Growing a ‘pre’ or ‘post’ crop to your main crop as bumper crops is a great way to maximize your food garden. By choosing fast growing crops that are harvested before or after your main crop you can get more from your garden. Good crops for this method are ones that are ready in 30-50 days: radishes, mesclun greens, any baby green, mustard & asian crops, baby turnips & beets just to name a few. Learn more about organizing your season for pre or post crops here. By companion planting you’re able to deter pests from your plants which will help to increase your yield. Less pests = more food for you! 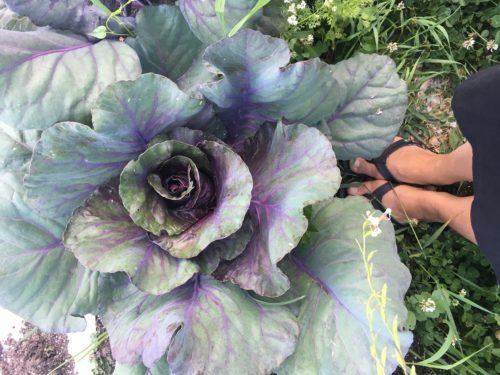 Some examples are: Nasturtiums around Brassicas (cabbage, cauliflower, kale, broccoli etc), growing alliums (onions, leeks, garlic) around Brassicas and marigolds around tomatoes. See a list of companion planting herbs and flowers. 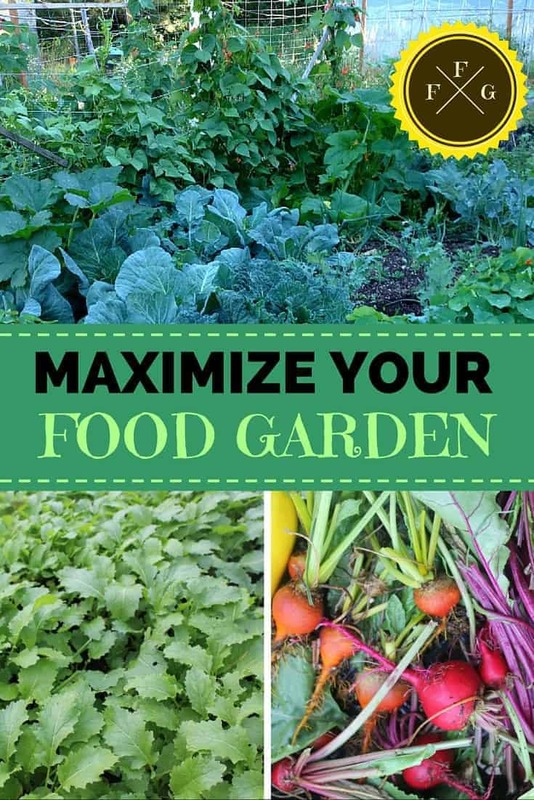 There are many ways to maximize your garden and get more yield and it’s great to learn these methods as you progress with your gardening over the years. 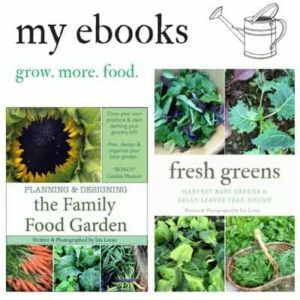 I list more ways to maximize your garden (including examples of the above) in my book:Planning & Designing the Family FoodGarden.